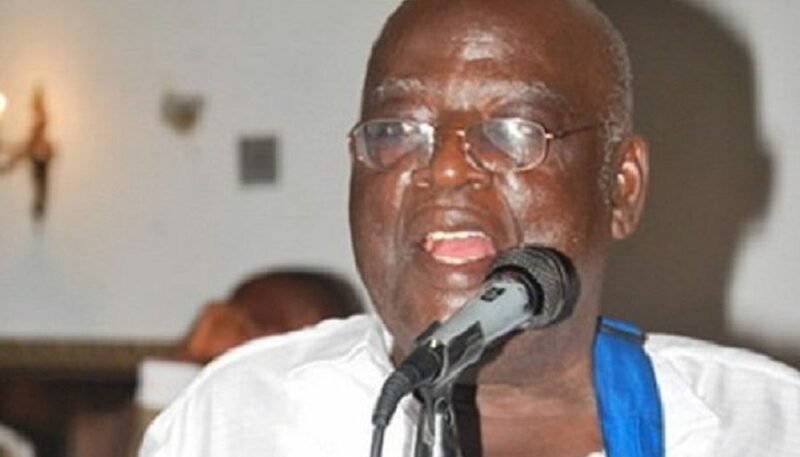 Ghanaian Highlife legend Charles Kofi Amankwaa Mann, popularly known as C. K. Mann has passed away. The legendary musician and producer died at the Ghapoha Hospital in the Western region, according to Empire FM’s Emmanuel Ohene Gyan. The 82-year-old has been battling illness for the last four years now but reports indicate that his sickness worsened last Wednesday resulting in his death Tuesday, March 20. His music career spanned over four decades; he won multiple awards for his songs. He was awarded the Grand Medal of Ghana by John Agyekum Kufour in 2006. C. K. Mann was born in 1936 in Cape Coast in the Central region of Ghana. He worked briefly as a seaman before joining Moses Kweku Oppong’s Kakaiku band. After familiarizing himself with the Ghanaian music scene, he joined Ocean Strings and led the band until 1965. When the band was disbanded, he joined a newly formed band in Takoradi, The Carousel 7. He came to prominence in 1969 when he released his single “Edina Benya”. It was he who impressed on the band’s owner, Anis Mubarak, to sign Paapa Yankson to the group. Mann added Western musical instruments to Osode, the traditional music of Ghanaian fishermen rhythms. In 2006, Mann was awarded the Grand Medal of Ghana during the 2006 National Honours and Awards Ceremony by President John Agyekum Kufour in recognition of his contribution to Ghanaian music. He was among the first recipients of this award after the ceremony was revamped in 2006. Mann had several hit songs, including “Asafo beesuon”, “Obaa yaa aye me bone”, “Kolomashie”, “Dofo bi akyerew me”, “Ankwasema dede”, “Okwan tsentsen awar”, “Aboa akonkoran”, “Beebi a odo wo”, “Tsie m’afotusem”, “Ebusua ape adze aye me”, “Yebeyi wo aye”, and “Do me ma mondo wo bi”. His latest album, Wope Nyeho was produced by West Gold Music Studio in Takoradi and released in 2013.